Earn $14.99 in VIP credit. Click to Learn More. With reflective print visible from all sides, the new Craft Hale Glow bibs are sure to become a first choice for twilight rides. 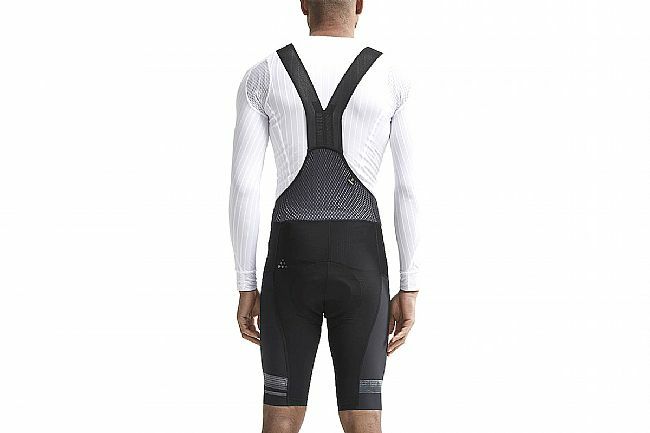 Made from Lycra® Sport Energy body-control fabric with 4-way elasticity, these bibs reduce muscle vibration and focus power for optimal comfort and control regardless of the time of day. 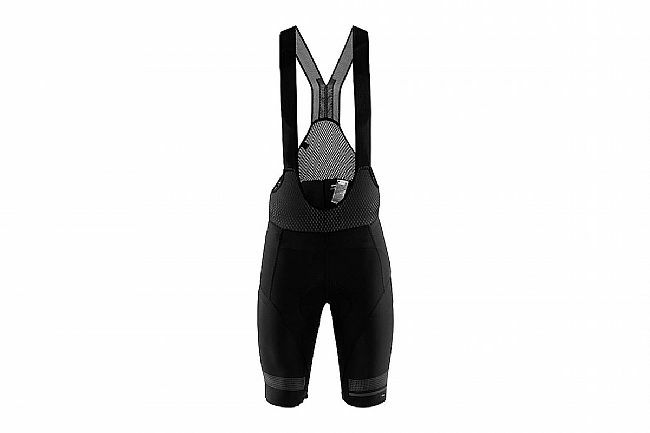 Silicone leg grippers and mesh shoulder supports keep the bibs in place while keeping you cool. At the seat, Craft's C1 pad will keep you comfortable all day with smooth transitions from high density to low density material optimized for a low profile pad that will stay comfy for miles to come.